Keep students on track with this behavior chart. Includes 2 customizable chart levels plus coupons and recognition cards as student incentives. Coordinates with the Aqua Oasis line. 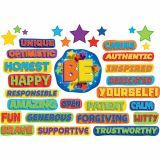 Remind students to "Be" the best that they can be with this colorful bulletin board. The 35 brightly-colored words and 11 star accents promote positive thinking and good manners. The "Be" title piece measures 12½" x 11½". 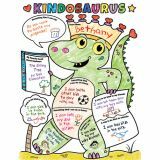 Boost literacy skills as you promote classroom kindness with these irresistible “Kindosaurus” posters! Young learners will love personalizing the BIG templates. You'll love the fact that kids are reading, writing, and learning how to be kind members of your school community. 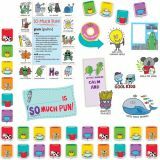 Includes thirty 17 x 22-inch posters and a complete teaching guide. 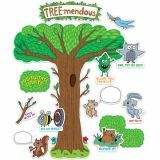 Perfect for wall displays or send-home keepsakes! For use with Grades K-2. 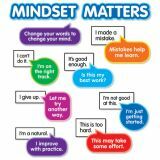 Encourage students to develop a growth mindset with this colorful set of motivational cards. Builds selfconfidence and reminds students to be positive when faced with challenges. Features 7 phrase cards plus one write-on/wipe-off card to customize. 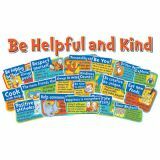 Teach and encourage positive behaviors and responsibility in your classroom with a 35 piece Eureka Mini Bulletin Board Set. 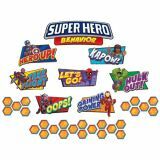 Set includes 1 Super Hero Behavior Header (2 pieces), 7 Character Behavior Frames, and 26 Tile Cut Outs. Packaged as 8 6" x 21" panels. 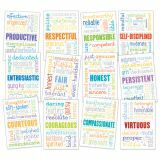 This visually appealing Positive Behavior bulletin board set is designed to empower students to recognize positive character trait words and meanings. 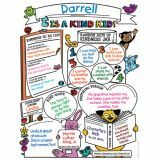 It includes 12 graffiti-style art posters with a key positive behavior trait surrounded by various synonyms associated with it. Positive Behavior provides teachers with an eye-catching display for reinforcing the positive behavior systems that are popular in schools today. 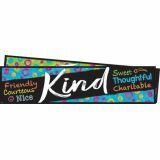 This vivid and exciting bulletin board set will reinforce a positive community atmosphere in any classroom. Carson-Dellosa curriculum bulletin boards are designed to support any classroom with hardworking curriculum-based displays. We have identified that decorative display space in the classroom is shrinking because teachers are required to display more content-based materials.